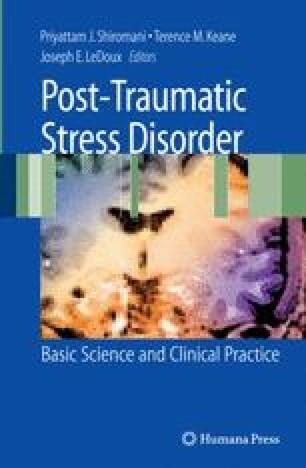 Neuroimaging provides a powerful means to understand the mechanisms that mediate emotional processing in healthy individuals as well as the dysregulation of these processes in post-traumatic stress disorder (PTSD). Reviewed are neuroimaging findings in PTSD, with a focus on studies utilizing symptom provocation, cognitive activation, and functional connectivity. These studies highlight the role of the medial prefrontal cortex (mPFC), insula, amygdala, sublenticular extended amygdala (SLEA), and hippocampus in mediating symptom formation in PTSD. In addition, new and emerging foci in neuroimaging research relevant to PTSD involve psychological processes like fear conditioning, habituation, extinction recall; cognitive-emotional interactions; and self-related and social-emotional processing. Findings linking neurocircuitry subserving these processes to the abnormalities associated with PTSD are highlighted, suggesting that the mPFC is implicated in a number of these processes. It is proposed that the mPFC plays a role in the “contextualization” of stimuli, and dysregulation of contextualization processes might play a key role in the generation of PTSD symptoms.